The ex-Olympian's story is being documented for the very first time. A film showing at Galway Film Festival is set to show, for the first time, the full story of Katie Taylor throughout her explosive career in international boxing. KATIE follows champion boxer Katie Taylor as she attempts to rebuild her career after a year of turmoil threatened to derail it. Taylor has won six amateur European championships, five world amateur championships and is an Olympic Gold Medal winner from the London 2012 Olympic Games. She turned professional after a disastrous campaign at the Rio 2016 Olympic Games, which saw her crash out in the first round despite being favourite to win. Ross Whitaker, who directs KATIE, unravels the deeply personal reasons behind Taylor's career low and shows the champion's grit and determination to start over as a professional. The Bray-native won her first world title within a year and became the first woman in history to headline her own Sky Sports show. 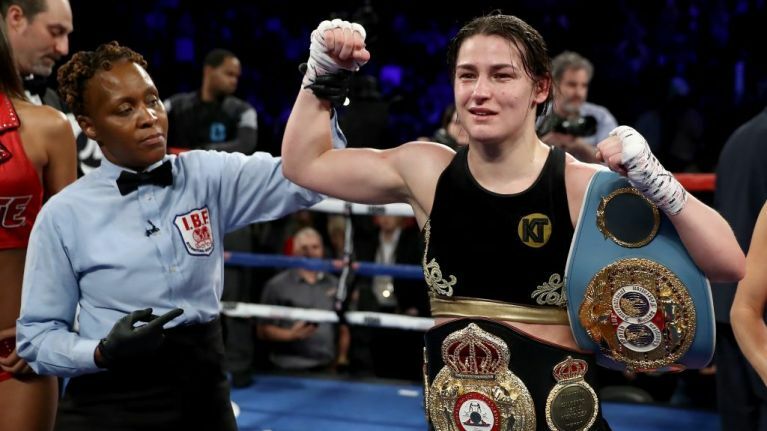 She added the IBF title to her WBA crown and is now one of only seven professional women boxers to hold unified titles across the different weight divisions in the sport. “On behalf of the filmmakers and everyone at Wildcard, we are so excited to be having the world premiere of KATIE at this year’s Galway Film Fleadh. "The Film Fleadh is the prime festival in Ireland to launch an Irish film, and Wildcard have had great success with the Fleadh over the last few years, with the first screenings in the world for The Young Offenders, Cardboard Gangsters, and Michael Inside. The film will be shown at the Fleadh on 14 July at 4pm in the Town Hall Theatre in Galway. For more information, check out the Galway Film Fleadh website here.